The word "audit" often invokes a feeling of fear, apprehension, or uncertainty. In almost all situations, no one wants to receive a notification of an audit. Of course, audits by government agencies are no exception to this general sentiment, and, more aptly, likely epitomize this feeling. Because of this, we are all well-advised to heed the advice of government agencies when they offer suggestions to prepare for an audit and/or to conduct internal audits. In December 2015, U.S. Immigration and Customs Enforcement (ICE) released updated guidance for employers conducting internal Form I-9 audits. This release included guidance on internal audit procedures as well as the proper method for remedying any errors discovered. This should serve as a reminder to employers of the importance of conducting internal Form I-9 audits and reviewing internal audit processes to ensure internal audits are as effective as possible. Internal audits are an important tool in ensuring that employers are complying with all applicable Form I-9 requirements. 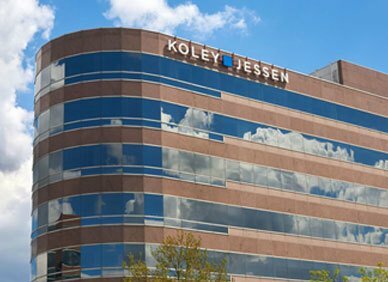 The Koley Jessen Employment, Labor and Benefits Practice Group has conducted extensive I-9 audits for many clients for minimal cost - deflecting thousands of dollars in potential fines. Although improperly completed I-9s cannot be shielded from discovery, involving legal counsel in the audit process ensures that any corrections are legally defensible and also provides attorney client protection to corollary issues that might be discovered during an audit such as discrimination or other personnel matters. Please contact a member of Koley Jessen’s Employment, Labor and Benefits Practice Group if you are interested in conducting an audit in 2016.